Great work here from Chevrolet in Mexico, done by McCann Mexico City. This campaign uses the insight that sometimes it’s not just the driver who is at fault for texting while driving, sometimes it can be us too – especially if we know the person we’re texting is busy driving. Great insight, funny scenes, beautiful art direction. This is exactly what you’re looking for! This entry was posted in Art Direction and tagged Art Direction, Chevrolet, Texting While Driving on June 29, 2015 by stellenboschacademy. We love seeing South African brands pushing the envelope digitally and this piece of work from Skip South Africa is a great example. Using an interactive YouTube video, users can watch a choreographed dance and seamlessly change the outfits of the ladies dancing to learn more about how to look after certain types of clothing – from colours to white to stripes to wool. So much fun to play with – and informative too! To truly get an idea of the work, check out this link here. 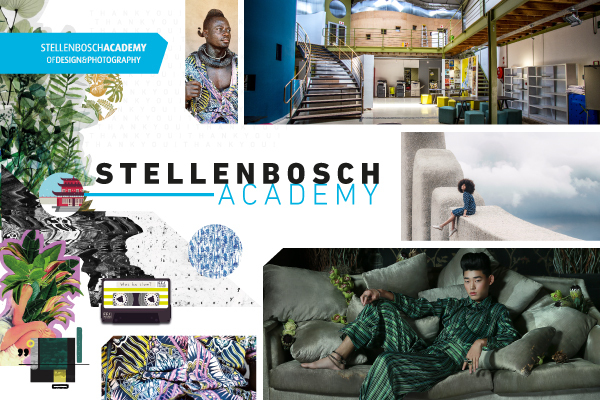 This entry was posted in Art Direction, Multimedia and tagged Art Direction, Lookbook, Multimedia, Skip, YouTube on June 26, 2015 by stellenboschacademy. Toshiyuki Nagashima is a Japanese art director, technical director, designer and programmer. When we came across his personal site, featuring a number of interactive screens, we just had to share it. We’ve screen-capped some of the pages as best we could but to truly appreciate Nagashima’s work you have to go to his website. Using interactive physics and a number of clever tools, Nagashima has truly blurred the lines between design and multimedia. This entry was posted in Multimedia and tagged Multimedia, Toshiyuki Nagashima, Website Design on June 24, 2015 by stellenboschacademy. Geoff Johnson is a commercial photographer who has used his project ‘Behind the Door’ to interrogate his own upbringing and help provide himself with some perspective. Growing up with a hoarder as a parent, Johnson often knew the shame of not wanting people to come into his house – holding the door ajar and sticking his head around so no one could see in. While we have seen hoarding trivialised and turned into reality TV soundbites, for those people living with a hoarder it is a serious issue to deal with in their lives. It’s not as simple as people just not throwing things away – people have deep-seated psychological problems that cause them to obsessively collect things. With this series, Johnson, interrogates what it is like to be a child in that environment – what it feels like to live in the filth and rubbish that is a hoarder’s home. We love this powerful work and salute Johnson for his honesty in dealing with this issue. This entry was posted in Photography and tagged Geoff Johnson, Hoarders, photography on June 22, 2015 by stellenboschacademy. Julien de Casabianca is a French visual artist who has started an art movement called the Outings Project. Inspired by noticing a beautiful painting that was stuck in the corner of a museum, unloved and unnoticed, de Casabianca had a brainwave – why not take these paintings to the public at large. And thus, the Outings Project was born. Initially, it was just de Casabianca – photographing paintings, printing them and pasting them up in public spaces, but soon people across the world caught onto the idea and started doing the same thing. At first, de Casabianca didn’t expect this to happen but the project has evolved into a movement where anyone is encouraged to photograph art in a gallery or museum with their cellphone, print it out and paste it up to share with the public. What a brilliant idea! We would love to see some of the beautiful paintings in the Iziko National Gallery pasted up around Cape Town! To see more of the project, we do suggest you check out their instagram account here. This entry was posted in Inspiration and tagged Art, Julien de Casabianca, Outings Project, Street art on June 19, 2015 by stellenboschacademy. Kevin McElvaney is a photographer who in this project has turned his lens to something many of us are not aware of – the problem of e-waste. We don’t realise, as we continue to buy the latest in computers, cellphones and TVs etc that all of our old stuff has to go somewhere. A lot of it ends up in places like Agbogbloshie in Accra, Ghana. Here, local people break down the discarded appliances and try repurpose the scrap to sell. Sadly, much of these items are poisonous and create serious pollution. This mixture of smoke, burning metal and chemicals creates a hellscape where young children work twelve hours a day trying to make money. It’s not pretty, it’s not fun to look at, but this project is vitally important for all of us – we need to realise the true cost of our lifestyles. And a lot of the people paying for it, are our fellow Africans. This entry was posted in Photography and tagged Agbogbloshie, E-waste, Kevin McElvaney, photography on June 17, 2015 by stellenboschacademy. Malika Favre is a French illustrator who lives in London. Here, we share her work she did for the Bafta Awards – creating a look and feel as well as images for the films nominated for best movie (see if you can recognise them). We love Favre’s style – at once timeless and unique. Here, we especially love her use of light as a way to add double meaning to her imagery. If you think about film projection works, you can see how smart her thinking really is. Illustration does not get better than this! This entry was posted in Illustration and tagged Bafta, Illustration, Malika Favre on June 15, 2015 by stellenboschacademy.